It is a condition usually seen in children, where they involuntary urinate in bed during sleep. As per research study incidence are more in male as compare to female child. This habit of bedwetting causes embarrassment, mental trauma and stress in the child and to their parents. 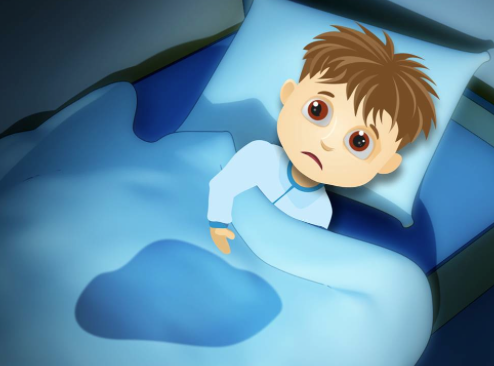 1.nocturnal:- It is a condition of involuntary bed wetting during night time by the child. 2.diurnal:- It is a condition of involuntary bed wetting during day time by the child. As per Dr.Abhishek research study conducted at aura Homeopathy clinic and research centre, if there is family history of bedwetting in both parents of the child, then chance of same in child is 78% high. For the purpose of correct diagnosis bedwetting occurrence should be atleast two times in a week, that too for three months without any physiological known cause. Enuresis, at age 5yrs affects 8% of boys and 2% of girls. By age 10, it affects 2.8% of boys and 1.9% of girls; only .95% of adolescents experience bedwetting. Family history or Genetics is a strong component. As research make it evident that genes on chromosomes 13q and 12q are having genetic code that control urination. Smaller size of bladder, due to which child cannot hold urine. At times child is unable to recognise that his bladder is full, specially due to deep sleep. Certain Psychological causes like stress, bullying, anger, or sexual abuse. Avoid giving fluids one hour prior going to bed. Avoid coffee, chocolate and caffeine drinks. Make it a habit for children to go to toilet before going to bed/sleep. Aura Homeopathy treatment for bedwetting:- As per Dr.Abhishek Homeopathy treatment is strongly suggested for the treatment of Euresis. These medicine are natural, safe, gentle with out any side effect for children. As the action covers mental, physical, and pathological sphere, hence it help to sole enuresis problem from the root.As per clinical Research homoeopathic medicines are highly efficient for treatment of bed-wetting. There are more that 98 medicine which can be of great help in bedwetting.